Network Equipment-Building System (NEBS) Compliance Certification is given to electrical products that meet a specific set of operating standards, as determined by a testing lab. Today, NEBS certified products are used in practically every industry in which commercial grade electrical hardware is needed, but the products were originally used exclusively by Bell Labs — a major player in the telecommunications industry over the past century. In the 1970s, Bell Labs developed a set of operating standards for electrical products that were used in Central Offices (COs) of Regional Bell Operating Companies (RBOCs). The standards were intended to make it easier for manufacturers to create electronics that could be seamlessly implemented in the COs. However, over time, the standards came to define electronics that were suited for the operating conditions of specific applications, regardless of industry. Network Equipment-Building System (NEBS) Compliance Certification is given to products that meets one of the following levels of qualification: level 1, which applies to products that meet the personnel and equipment safety requirements of GR-63-CORE and GR-1089-CORE; level two, which applies to products that meet the operating requirements for a specific environment; and level 3, which applies to products that meets all GR-63-CORE and GR-1089-CORE requirements. Level 1 hardware is typically used for test purposes, as it provides safe operation but is not resistant to adverse operating conditions. Level 2 hardware is rarely used because its operating standards are designed for a specific environment, typically one that does not include adverse operating conditions. Level 3 hardware is the most popular because it is designed to endure a variety of adverse conditions, particularly the ones discussed below. Level 3 hardware is designed to withstand adverse operating conditions, such as humidity, vibration, extreme temperatures, power surge faults, unusual altitudes, airborne contaminants, and unusual acoustics, among others. 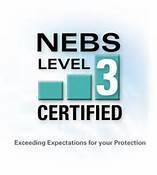 If you need an inverter, a converter, or another type of power conduction equipment to perform under adverse conditions, investing in products that has a level 3 Network Equipment-Building System (NEBS) Compliance Certification is the best option. NEBS hardware is tested by several laboratories worldwide. Level 3 products are commonly used in military applications, industrial applications, marine applications, and other applications that involve strenuous operating conditions that would cause conventional hardware to malfunction. For more information about the benefits of NEBS certified hardware and the situations in which it is needed, contact a seller of NEBS inverters and converters today.